A big thank you to Jo who puts this together every week. It’s been a fantastic way to get to know so many of you and make new blogging friends. My name is Andrea. I was raised in the Pacific Northwest in the state of Washington. As the crow flies, my current house is just a few miles east of the home I grew up in which is just a few minutes north of Seattle. 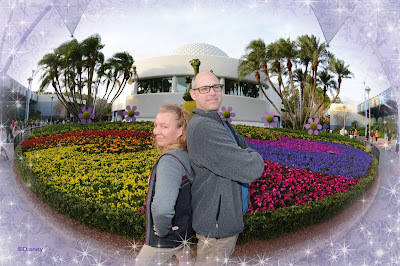 I have a fun-loving husband who has always likened himself to Goofy. I also have a son who is grown and lives south of us a little ways. We get to see him at least once a week…and still like to take him on family vacations. I have been cross stitching for about 35 years. I took a class in middle school where we learned how to knit, crochet, needlepoint, cross stitch, embroider, quilt, and probably a few other needle arts I’m not remembering. Cross stitching was the hobby that really found a place in my heart, so I’ve been stitching ever since. I have been blogging for a little over a year, although I really didn’t get into it until March of this year. I started blogging as part of a school assignment for a college class. I have been making so many awesome friends through blogging that I am hooked and haven’t stopped even though the class is long over! 4. How would you describe your stitching style? At this point, I am pretty much a one at a time person…or one quilt and one cross stitch project at a time. When I am working on a large piece, I’ll usually throw in some smaller projects just to mix things up. I used to be a serial starter, but now I like to see things through to the finish. Pretty much anything Disney, for starters…or anything that reminds me of Disney. My last project I finished was a Tinkerbell cross stitch. I am absolutely in love with that piece. Currently, I am working on a piece of Mickey Mouse and his friends all dressed up as Pirates. I am also a huge Randal Spangler fan. I have a number of his charts in my stash. Currently, I would have to say my Tinkerbell finish. However, I’ve got some fun projects planned over the next few months, so that just might change. Fortunately, I don’t think I have any…at least not that I remember. I am a very…sssslllloooowwww stitcher, so mistakes are far and few between [knocking on wood]. 8. Which new technique would you like to try, either stitching, finishing, or another craft? I want to sew a quilt where the center of each block is a piece of cross stitch. I’ve got several designed but have a lot of other projects ahead of it. Not anymore. Hubby and I went through and got rid of a lot of “stuff” that was taking up room last year. All of those types of pieces were either fully finished or donated to Love Quilts or WOCS if appropriate. 10. Which of your projects most represents “you”? Anything Disney or Disney inspired…and that includes the Marvel universe, Star Wars, and some other movie related things like Harry Potter, etc. 11. Tell us a secret about yourself. My dream job would be to be a Disney and/or family vacation travel agent. The Disney theme parks have an extremely special place in my heart. As a teenager, my family traveled to Disney World for the first time together. I was experiencing some difficult things at that period in my life, and Disney World was a magical place for me where I found a temporary escape. During that week, I became a different person. It may sound strange, but that week at Disney changed my life. I am very grateful that my hubby and son have embraced Disney just as much as I have. I love, love, love making new blogging friends. Feel free to stop by my blog any time and leave me a message or “follow” me. Hello it is nice to meet you and I will next stop by and visit your blog. This was great to learn more about you Andrea. Nice to meet you!I really wonder how long it will take you to finish that huge piece.AriadnefromGreece! It was fun to learn more about you Andrea. It would be so fun if we lived closer to each other. I love Disneyland and have been there over a hundred times. My favorite place in the world. Sad to say I probably won't get to go again but I have my memories. What a pleasure to meet you Andrea! I love Disney as well, and what a lovely story why it means so much to you! I visited Seattle a couple of years ago and loved the area, it's so beautiful there. I've been over to check out your blog and left a message there too. I'll keep checking in on you, I want to see how you finish that mystery quilt! So nice to meet you and to learn some more things about your stitching and quilting world. You are right, through blogging we make new friends by leaving and getting comments and I love that as well. Lovely to read about you Andrea.Our now adult sons have lovely memories of Disney Paris which we were lucky enough to visit twice within the year it opened back in the early 1990's.Their dad and I had a great time too. Your Goofy and Friends is going to be fantastic and Tinkerbell is very pretty. So nice to learn more about you, Andrea! I love watching your progress with the pirates, that will be amazing when finished. I have a couple of Randy's pieces to stitch too, did you know I met him a few years ago?! Great guy, I really should get stitching what I have! Tinkerbell is adorable, the colours look great together. It is so nice to learn more abut you Andrea! Love all your Disney projects. Very nice to learn more about you Andrea! 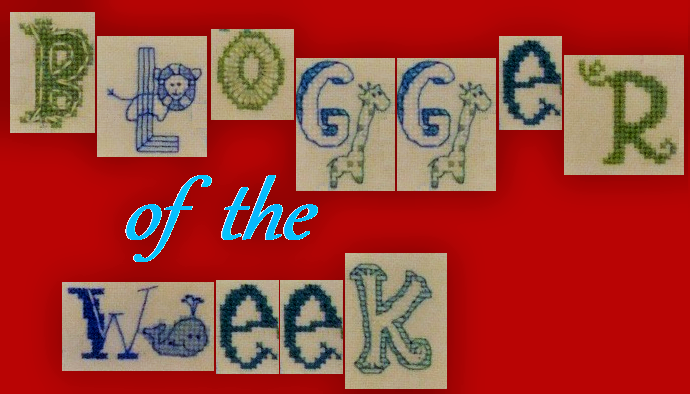 I enjoy your blog and I love seeing your quilting and stitching. Nice to meet you, Andrea! There seem to be quite a few stitching Disney fans out there...good thing there is so much Disney-related crafting to do! I agree with Jo from the first comment I just felt like I knew Andrea too. I'm a fellow Disney lover and we have so many things in common. I'm glad she did this so I get to know her even more. Great answers Andrea!! Just love the Tink piece! !